The underground drainage of Clapdale is bisected into two conveniently mappable areas of cave passage by the great gorge of Trow Gill. To the east of the gorge is the labyrinth of passages radiating from the Main Chamber of Gaping Gill – while to the west is the mostly flooded series of passages emerging at Clapham Beck Head. 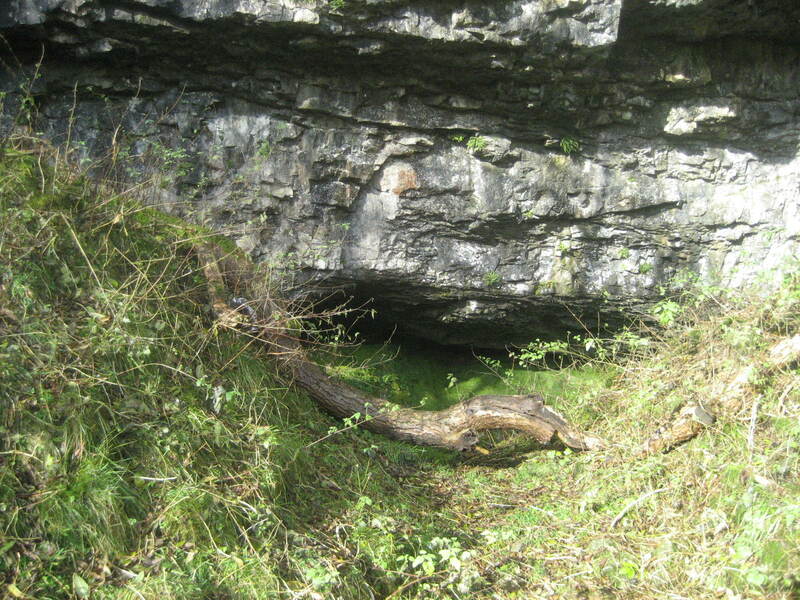 Further west – and at a higher level, an ancient stream route is seen in Ingleborough Cave; with a connection to the current resurgence being made through a hole in the floor known memorably as ‘The Abyss’. 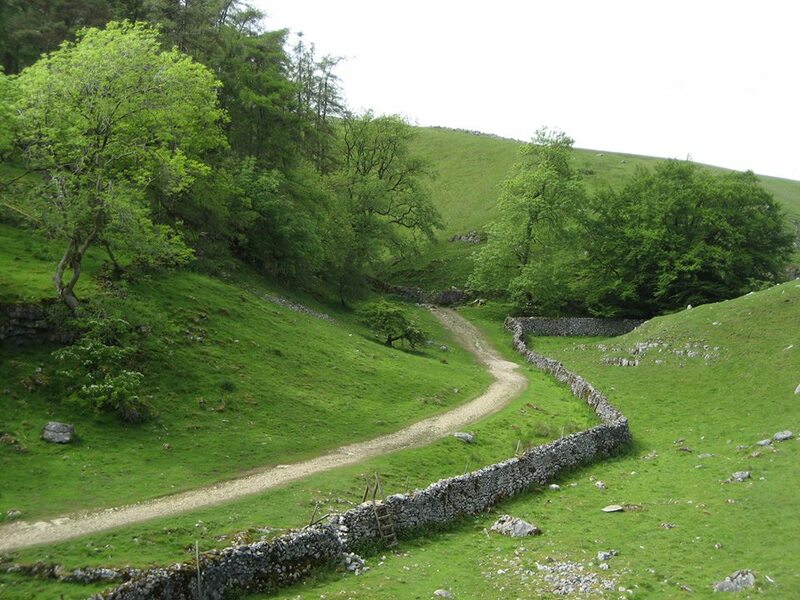 Between Ingleborough Cave and Trow Gill, and just before the route swings into the gorge – a small dry valley runs in from the left, and this can be followed up a few yards to the Foxholes: a series of low bedding caves beneath the undercut of a small cliff. There are three very low entrances here, and they probably mark the site of a long-lost resurgence from Ingleborough Cave. A connection was made through the ‘Clapdale Crawl’ by the Northern Pennine club in 1993, though it has long since silted up after episodes of severe flooding. A shallow channel marking the ancient resurgence flow into Clapdale can easily be made out. Even today, in severe floods, the lowest cave entrance fills up with standing water to within a few metres of the overspill, but is has never been known to flow out down the valley (J. Cordingley pers. comm.) It would have been a different story towards the end of the last glaciation, when meltwater pressure will have forced large amounts of flow from the Foxholes Caves. These caves are more famous for their archaeology. In 1913 and 1914 large amounts of material were dug out and the spoil heap can still be seen. A rough walled enclosure was found parallel to the cliff face with transverse walls running to the cliff. Disturbed human remains and fragments of pottery indicated a burial, and the enclosure contained traces of fireplaces with charred bones and flints. Animal remains were also found, including red deer, wolf, wild boar and the slender leg bones of at least five horses. Today, the Foxholes are gated inside for safety and preservation. It would require a massive amount of effort to clear the Clapdale Crawl again and probably for very little gain, as the passages are constantly prone to blocking and silting. 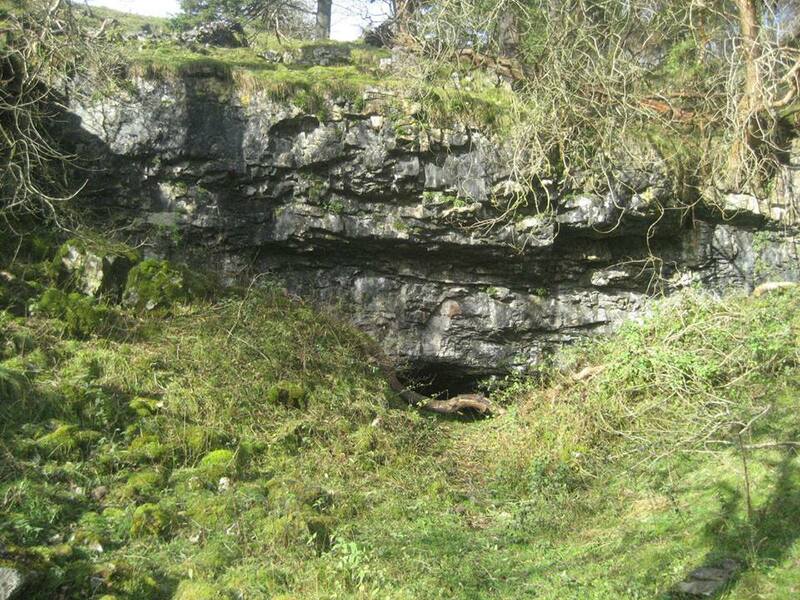 Nevertheless, both geologically and archaeologically, the Foxholes are an important part of the Ingleborough landscape.